Real Deal Retirement » Blog Archive » How Much Guaranteed Income Do You Need In Retirement? How Much Guaranteed Income Do You Need In Retirement? Do I need to invest in an annuity after I retire if I want to enjoy a secure retirement? Although you may not realize it, you already get an annuity in retirement. It’s called Social Security, and it gives you a monthly payment for life that rises with inflation. 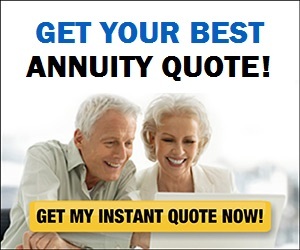 So the real question is: Do you need another annuity in order to have a secure retirement? The answer: It depends. Check Out: Should you factor Social Security Into Your Investing Strategy? If by “need,” you mean you would seriously jeopardize your retirement by forgoing an annuity, I’d say the answer is no. For a variety of reasons valid or not, most people don’t invest any of their retirement stash in an annuity and many, if not most of them, get along fine. So it’s not as if you’d be making a huge retirement-planning mistake by passing on an annuity. But if you’re asking whether devoting some of your stash to an annuity might improve your retirement prospects by allowing you to spend more of your savings and assure a given level of income no matter what the financial markets are doing, then yes, an annuity might help. Here’s a good way to determine whether that’s the case. Go to an interactive retirement budget worksheet and divide your estimated retirement expenses into two categories—essential outlays (housing, transportation, insurance, etc.) and discretionary expenditures (travel, entertainment, etc.) Tally each category, and then see how your essential expenses stack up versus what you’ll get from Social Security (and a pension, if you receive one). After going through this exercise, chances are you’ll find that your essential expenses exceed the guaranteed income you’ll receive from Social Security and any pensions. Which raises the issue of how to fund that gap. Many retirees like the security of knowing that all or most essential expenses will be covered even if the financial markets founder. They can then rely on draws from savings to cover discretionary items, which can more easily be pared back if necessary. If that idea appeals to you, an annuity—specifically, an immediate annuity—may be worth considering. Or you could just rely on draws from savings to fund both the gap between essential expenses and Social Security income and your discretionary spending. But if you want savings withdrawals to do double duty, you’ll want to take extra care that you don’t pull so much from your nest egg early in retirement that you exhaust it too soon. The amount you can safely withdraw without your stash running dry or dangerously low may be smaller than you think. For years, many retirees followed the 4% rule as a guide. That rule held that if you initially withdrew 4%, or, say, $20,000 from a $500,000 nest egg and then adjusted that amount for inflation each year (drawing $20,400 the second year, $20,800 the third and so on, assuming 2% inflation), you had a roughly 80% to 90% chance that your savings would least at least 30 years. But with interest rates so low and investment returns projected to come in much below those of years past, research by retirement experts like The American College’s Wade Pfau, Texas Tech’s Michael Finke and Morningstar’s David Blanchett suggests that retirees may have to go to an initial withdrawal of 3%, if not less, to avoid running out of money too soon. 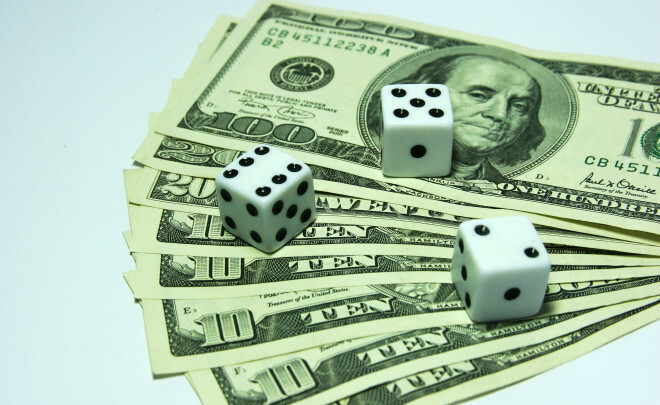 You can get an idea of how likely you are to run through your nest egg at different withdrawal rates by revving up a retirement income calculator that employs Monte Carlo simulations. Assuming the idea of getting more assured income with an immediate annuity appeals to you, you still don’t want to put all, or even most, of your savings into one. The reason is that in return for the guaranteed income stream you give up access to the money you invest in an annuity. (Some versions of annuities do allow some access, but you get a lower payment, which undermines the rationale for buying an annuity in the first place.) So if you do decide an annuity is for you, be sure that you have enough savings left over in a diversified portfolio of stocks and bonds to generate some growth to protect your purchasing power from inflation and to provide a stash to meet emergencies and fund the occasional indulgence. Nor would you put any money you plan to leave to heirs in an annuity. If you’re buying a longevity annuity within a 401(k), IRA or similar retirement account, you’ll want to make sure it qualifies under recent Treasury Department rules as a Qualified Longevity Insurance Contract, or QLAC, as QLACs come with a significant tax break. As long as you invest no more than the lesser of $125,000 or 25% of your account balance and your payments start no later than age 85, you don’t have to include the QLAC’s value in determining the required minimum distributions (RMDs) you must typically make from tax-advantaged retirement accounts staring at age 70 1/2.